This Week we spotlight the Director of Camp Operations and Co-Founder, Dan Kane. Dan Kane attended Ascension school and Oak Park River Forest High School. Dan coached boys and girls basketball and soccer from 2002-2009 at St. Giles School in Oak Park, under the direction of Jim Collins. He helped supervise St. Giles’ intramural and interscholastic programs that run year round. In 2007, Dan graduated from Marquette University with a BA in Broadcasting. In 2016, he married Audrey Kane, and they currently reside in Berwyn, IL. Chicago Area Youth Sports Program that serves youths in the Illinois area including Oak Park, Berwyn, River Forest, Forest Park, Lagrange, Brookfield and Lyons. 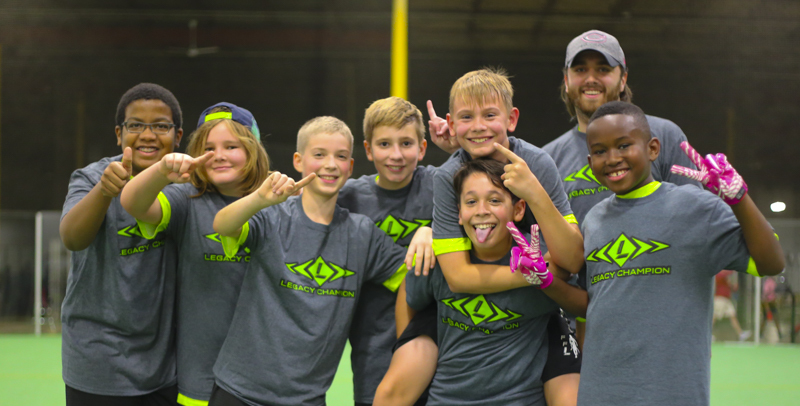 Established in 2008, Legacy Sports Camp was founded by Oak Park natives, Dan Kane and Caleb Fields. Legacy provides after-school programs, holiday camps, birthdays, block parties, summer camps, instructional training and leagues. Our goal is to educate our participants on proper technique in individual and team settings. We believe that character has an important impact on young athletes and we instill these positive character traits in all of our programs. While doing this we provide a fun, safe, challenging, and high energy atmosphere in all of our programs. Caleb attended Ascension school, is a youth Bronco/PONY alum and was an All-State infielder for Fenwick High School. He captained the Northwestern baseball team and was an All Big-Ten selection in 2006. In 2007, Caleb was drafted by the Pittsburgh Pirates organization where he played two seasons. He played in 2009 for the Rockford Riverhawks of the Independent Frontier League. He has supervised youth camps for over 10 years in various sports and helped run a baseball academy on the North Shore with over 600 kids attending. Caleb was an assistant coach for the varsity baseball program and freshman and sophomore levels of the basketball program at Fenwick High School in Oak Park from 2010-2012. Currently, Caleb lives and works in the Denver, Colorado area. 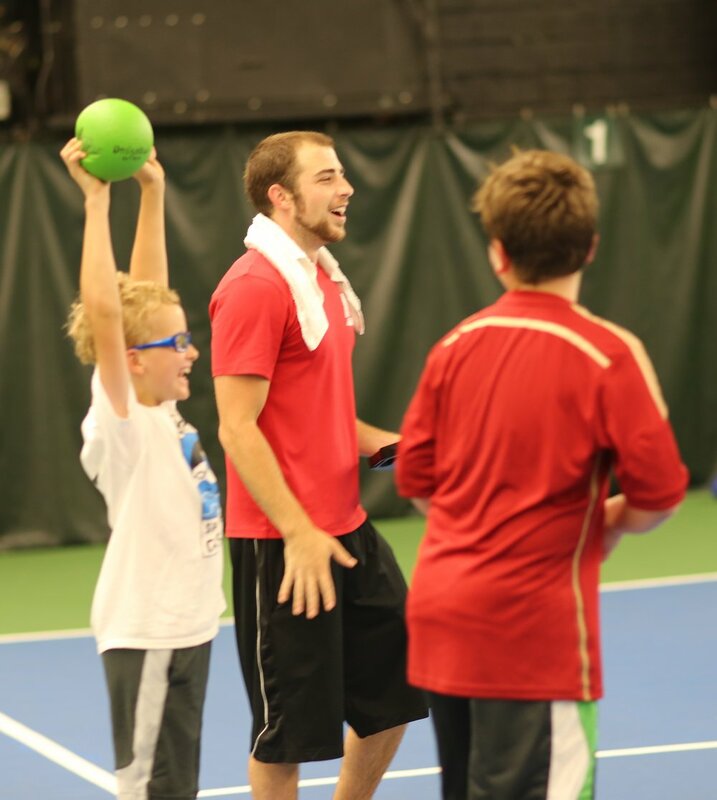 Legacy Sports Camp offers a variety of Youth Sports Programs including Basketball Programs, Coding & Sports Camps, Flag Football and Youth Summer Camps. We have an excellent staff of youth coaches that have been working with kids in grades K-8 for many years. Youth Sports Program that serves youths in the Illinois area including Oak Park, Berwyn, River Forest, Forest Park, Lagrange, Brookfield and Lyons. This Week we salute the one and only, Will Skalitzky. Will is unique at Legacy as he has been both a participant and staff member. Will is most well-known for his ingenious play calling on the flag football field as he has led several teams to glory. Will also helps run summer camps at Ascension and St. Luke. This fall, Mr. Skalitzky will be taking his talents to Syracuse University. This Week we salute Legacy staff member, Michael Swift. Mike has been with Legacy since the fall of 2017 and has been able to do it all. 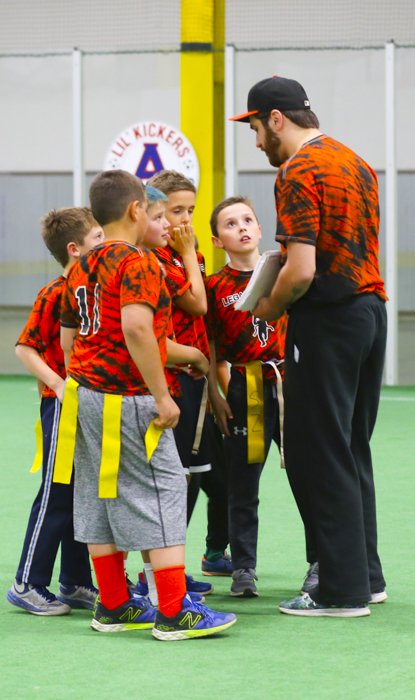 Mike has run birthday parties, after-school camps, basketball and baseball training camps, and is currently coaching in his first Legacy flag football season. This week we salute coach Joe Herner. Joe has been with Legacy since January 2017. He has put in a lot of hard work and effort to make sure his classes run smoothly and that all the kids have a great time. 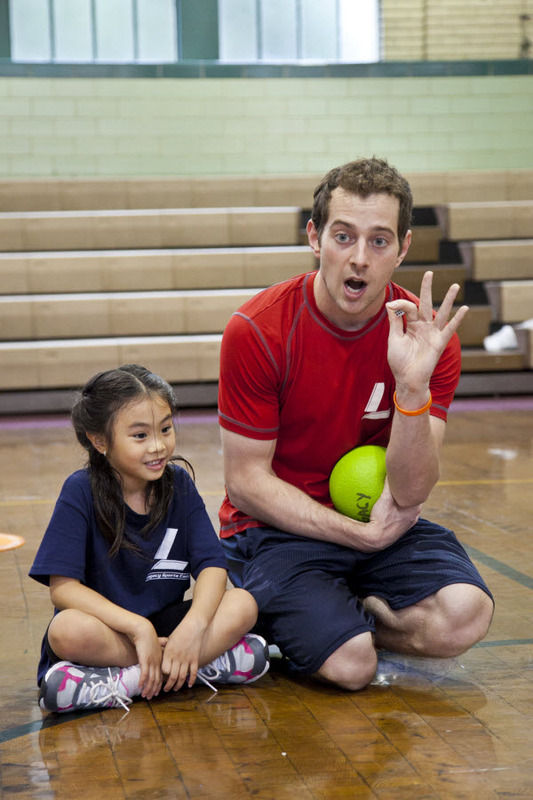 Joe runs after-school camps, baseball camps, birthday parties and also heads up our Lil Legacy program at the River forest Community Center for our littlest campers. Favorite Legacy Program: "All classes are always fun, but my favorite program is the multi-sport madness because we get to play a bunch of different games." Favorite Legacy Memory: "When I teach a kid some thing new, doesn't even have to be sport related. Happens all the time!" When I'm not at Legacy, I am most likely.. "Playing music! I built a studio at my house and love producing music. I also play in a band, I'm the guitar player!" Illinois Youth Sports Program serving youths in the Illinois area including Oak Park, Berwyn, River Forest, Forest Park, Lagrange, Brookfield and Lyons. This Week we feature coach Mike Hardison. Mike has been with Legacy since 2013 and has done it all. 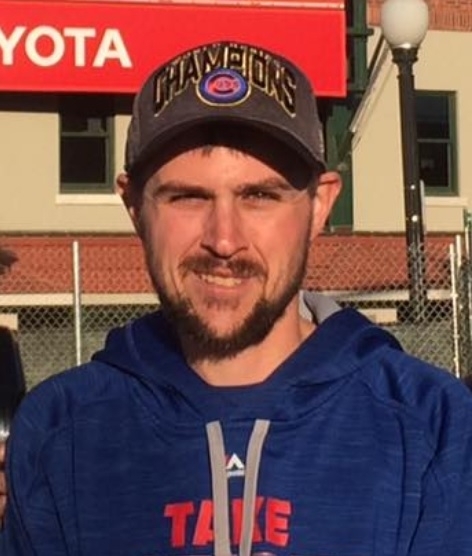 Mike runs after-school & summer camps, coaches our flag football teams, has run over 100 birthday parties and is the lead baseball instructor heading up camps and annual OPYBS baseball winter workouts. Favorite Legacy Memory: "Coaching one of the flag football teams from not winning a game the entire season to go undefeated in the playoffs and make it to the championship. Watching the kids grow and develop throughout the season and camps is also great to see." When I'm not at Legacy, I am most likely.. "Working for United Airlines. When I’m not working, I am doing my best to relax." This Week we salute our camp counselor, Javy Brooks. Javy joined the Legacy staff last year and has already gained a following amongst his campers. Javy runs after-school camps, basketball camps and also coached our 5th Grade Boys Travel Basketball Team. Favorite Legacy Memory: "Coaching our 5th grade team at the Lake Barington Winter Shootout"
When I'm not at Legacy, I am most likely.. "Studying or playing basketball"
Chicago Youth Sports Program serving youths in the Illinois area including Chicago, Oak Park, Berwyn, River Forest, Forest Park, Lagrange, Brookfield and Lyons. This Week we salute our camp counselor, Karl Von Roenn. Karl has been with Legacy since 2015 and is always a "fan favorite" when it comes to Legacy Staff. Karl runs after-school and summer camps, announces for flag football games and even referees adult pickleball tournaments! Karl working hard at one of our Coding Sports Camps at the Tennis & Fitness Centre in Oak Park. Favorite Legacy Program: "Multi-Sports Madness because it allows you to play a wide array of games but dodgeball is my all time favorite!" Favorite Legacy Memory: "Getting a picture in the Chicago Tribune because of our cooperative summer camp between Legacy and Code-Play-Learn." When I'm not at Legacy, I am most likely.. "Doing homework for grad school."